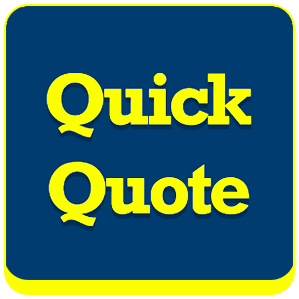 Get your free quote in 60 seconds! Movecorp is a leading provider of local, national and international moving services, helping a profusion of domestic, commercial and corporate clients relocate every single year. No consignment is too big or too small for our teams of packers and movers. We have the skills and experience to send an extra bag, a piece of furniture, sports equipment or a whole home load since we offer part load shipments or we can provide a whole shipping container. We like to keep our international shipping and removals process as simple as possible to avoid any fuss and confusion. Looking to go a little further? We organise air cargo with minimum fuss. The sky is definitely not the limit! Accreditations that mean you can really trust us! IAM is a global association of movers and forwarders committed to providing customers with the highest level of service available. 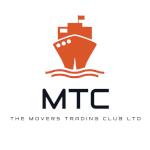 Our worldwide membership of over 2,000 companies from more than 170 countries and territories are available to move you wherever life may take you. Enjoy the ultimate in consumer protection by moving with a member of the UK’s only Ombudsman Scheme accredited trade association in the removals industry. Membership of the Scheme, for individual removal companies, is through their membership of participating trade bodies. Once a company has signed up for the Scheme, all their removal activities are eligible to go forward to the Ombudsman, should a serious dispute arise. Freight Transport Association (FTA) is one of the UK’s largest trade associations and represents the transport interests of companies moving goods by road, rail, sea and air. Boasting a rich heritage, FTA has been supporting the interests of the transport industry since 1889. FTA specialises in delivering safe, sustainable and efficient logistics. 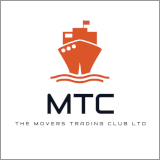 Movecorp Limited is an authorised member and agent of The Movers Trading Club Ltd (MTC) which is a Foreign (non-USA) based ‘Non Vessel Operating Common Carrier’ (NVOCC) registered with the US Federal Maritime Commission (FMC), organisation number 027552. 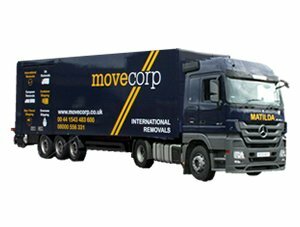 Movecorp is part of Eurovan, a network of leading removal companies throughout Europe, giving customers access to the best resources available, both before and after the move has been made. The National Guild of Removers & Storers was formed in 1991 to bring into membership removals businesses that are keen on promoting consumer protection. The Department for Trade & Industry officially recognised that the Guild was pre-eminent in its field 1996. The Guild is proud to be the founder member and a strong supporter of The Removals Industry Ombudsman Scheme. It is the only trade association in the industry that insists that its members belong to the scheme. The Guild is also the only trade association in the removals industry whose members have to pass an annual independent inspection and undergo a continual quality monitoring program. Fill out a few details below and within 24 hours one of our team will contact you with a FREE no obligation quotation and a bit of impartial advice. Copyright © MoveCorp Limited 2017. All Rights Reserved.